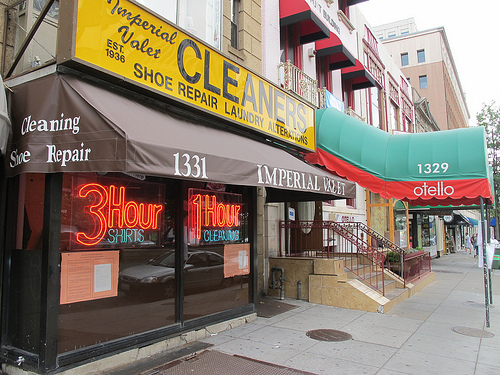 The current Imperial Valet cleaners at 1331 Connecticut Ave, NW just south of Dupont Circle is looking to become a sports bar. A liquor license application posted out front says they will be called NTH (National Tap House). New Tavern/Sports bar. Serving appetizers, full menu for lunch, dinner and late night fare. Flat screens, electronic music, live bands and DJ. Occupancy load is 267. 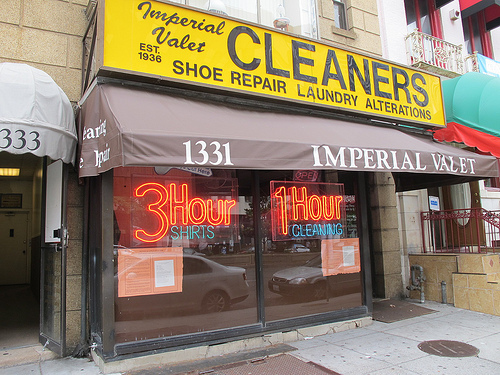 They hope to stay open “Sunday through Thursday 10 am – 3 am, Friday and Saturday 10 am – 4 am”. They also hope to have a summer garden. Stay tuned for more info as it becomes available.